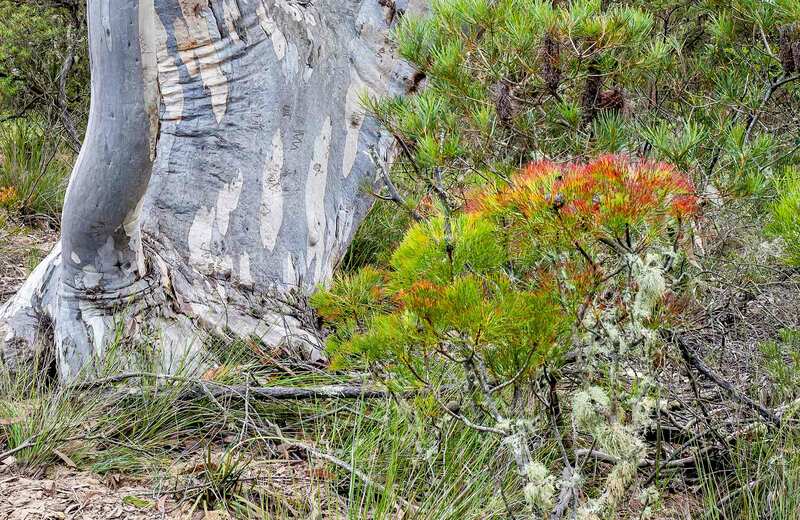 Take a refreshing swim at the base of Bundanoon Creek walking track before the steep return journey to Tooths lookout in Morton National Park. 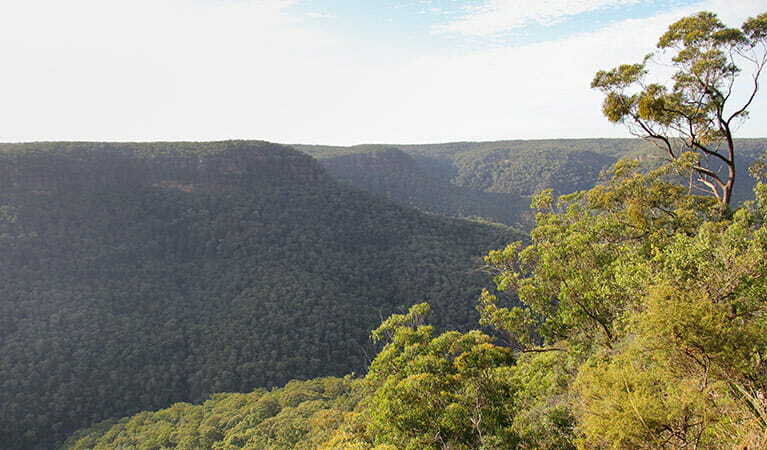 Park entry fees apply in the Bundanoon precinct of Morton National Park. The weather in the area can be extreme and unpredictable, so please ensure you’re well-prepared for your visit. 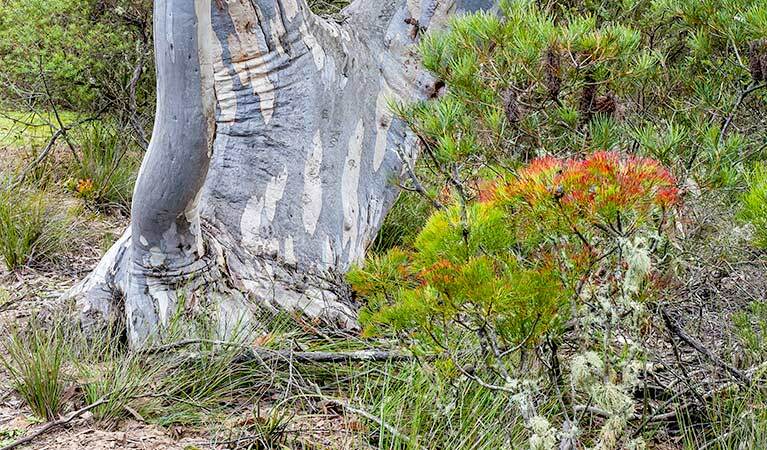 Although not a bushwalk for the faint of heart, Tooth's walking track to Bundanoon Creek offers great rewards for those who are fit and don’t mind a steep climb. 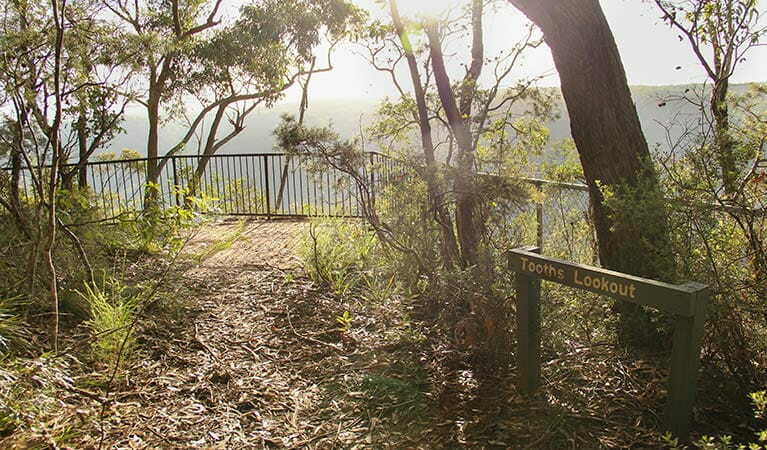 The walking track begins at Tooths lookout, with its spectacular scenic views of the valley, and descends steeply towards Bundanoon Creek. As you get closer to the creek, you may see reptiles lying across the track and, during spring, wildflowers blooming nearby. Don’t get too distracted because you need to keep a close eye on where you’re placing your feet. At the base, strip down to your swimmers and plunge into the swimming hole. It’s the perfect way to refresh before you make the climb back to the top. 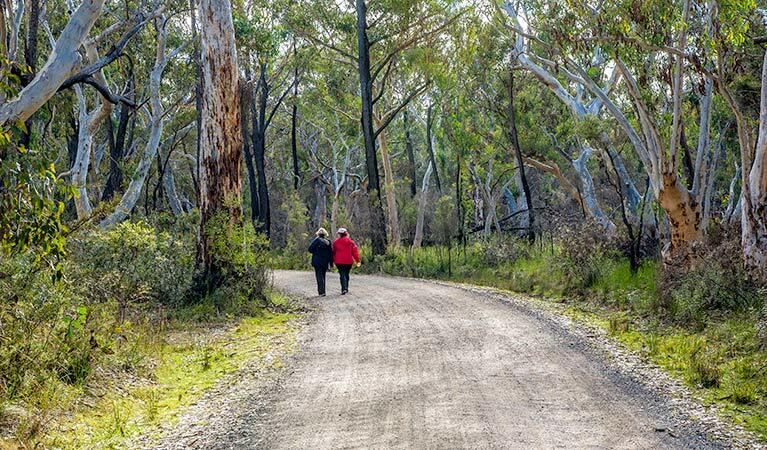 Make sure you leave plenty of time, since the walk needs to be completed during daylight.